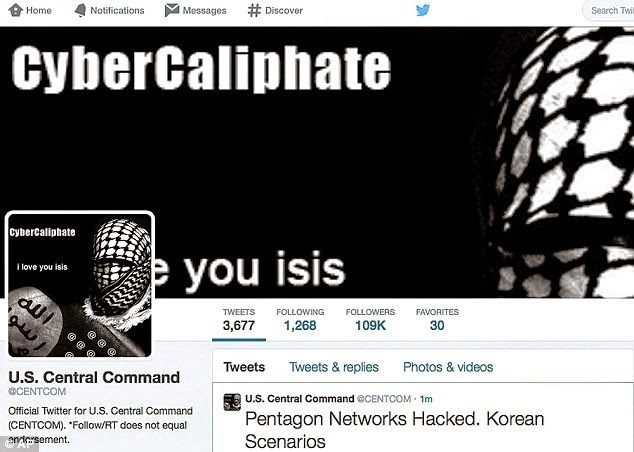 #CyberCaliphate? 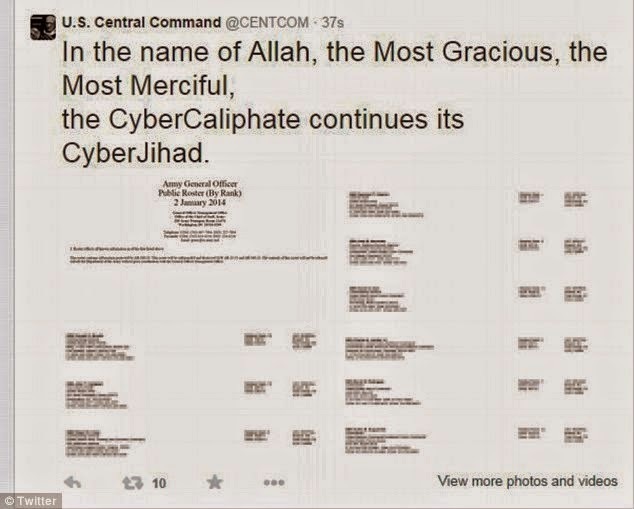 ISIS seems to be ramping up it's social media activism as the Twitter account of the US military's Central Command in Florida was hacked earlier today. Representatives of the ISIS terror group who took over the account posted threatening messages against troops, their families and also leaked the home addresses of 4-star US generals. The security breach, occurred while President Obama was giving a speech on cyber security. 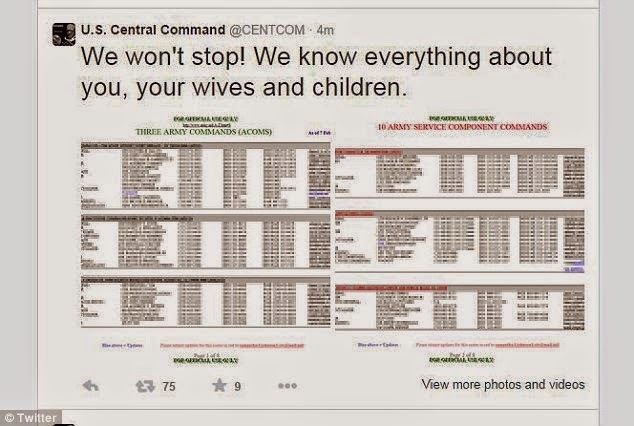 US officials confirmed that the U.S. Central Command Twitter account and its YouTube account were suspended 40 minutes after being compromised at around 1.09pm.